Michael Brand, Look , 'From the Gallery director', pg. 13, Sydney, Sep 2014, 13, 14, 15 (colour illus.). Clare Temple, Foundation Newsletter #24 , 'Curators' and coordinators' reports', pg. 8-11, Sydney, Jul 2014, 10 (colour illus.). Editor Unknown (Editor), Argus , 'The Victorian Society of Artists. Annual exhibition', pg. 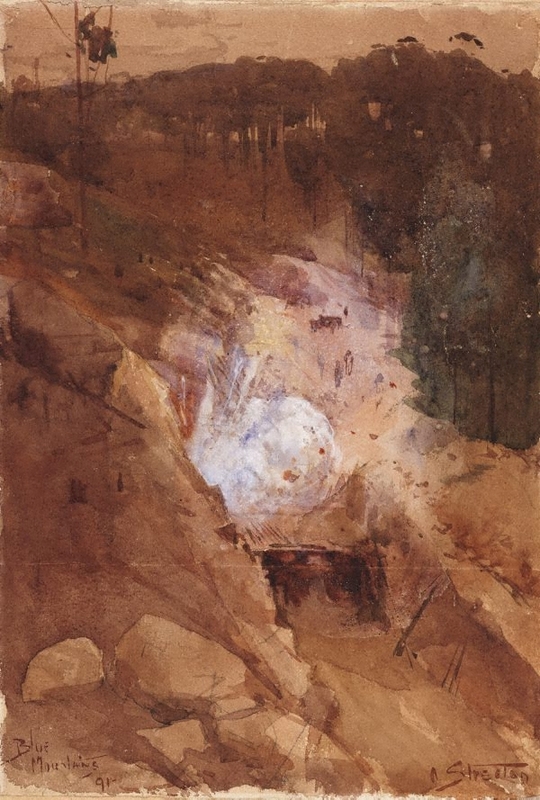 7, Melbourne, 30 May 1892, 7. titled 'Cutting a tunnel, Blue Mountains'.